Hawaii developer Stanford Carr’s Keauhou Lane Kakaako mixed-use residential project should begin construction in August, the developer said Thursday at an industry event in Waikiki. 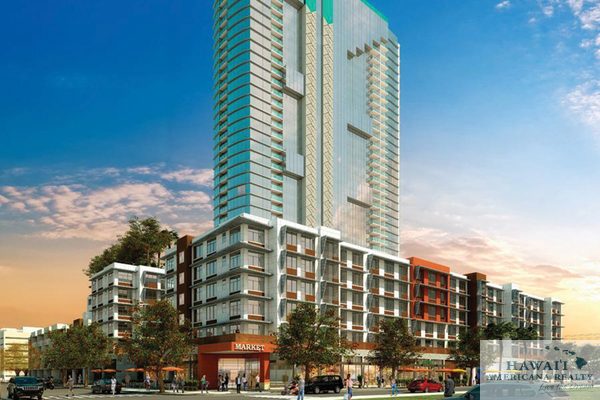 Last month, Carr told PBN that the project, which is located on the bloack at 500 South St. and 500 Keawe St. and includes 388 residential units in a 400-foot tower, along with 35 townhome units in a 42-foot mid-rise tower, would start construction in July. Carr, a panelist at the International Council of Shopping Centers Hawaii Idea Exchange event, gave a presentation about Keauhou Lane. “Let’s create and define transit-oriented development and mixed-use,” said Carr, noting that a rail transit station will be integrated into the development. Carr told PBN that his firm, Stanford Carr Development, is near to closing on the project’s construction loan and that it should get its foundation building permit soon. So far, he said, sales have been good for the project. Keauhou Lane also includes another project being developed by Oregon’s Gerding Edlen on behalf of landowner Kamehameha Schools. This project includes 209 residential units in a 65-foot mid-rise building and 39,145-square-feet of ground-floor commercial space. Both projects are expected to be completed in 2017. Keauhou Lane is located near Carr’s recently completed Halekauwila Place rental project, which mostly has local occupants, according to Carr, who also pointed out that both the residential and commercial units of the project are 100-percent leased. Halekauwila Place’s commercial tenants include Uproll Cafe, Kakaako Wine & Sake Collection, a convenience store, hair salon and a soft drink store. 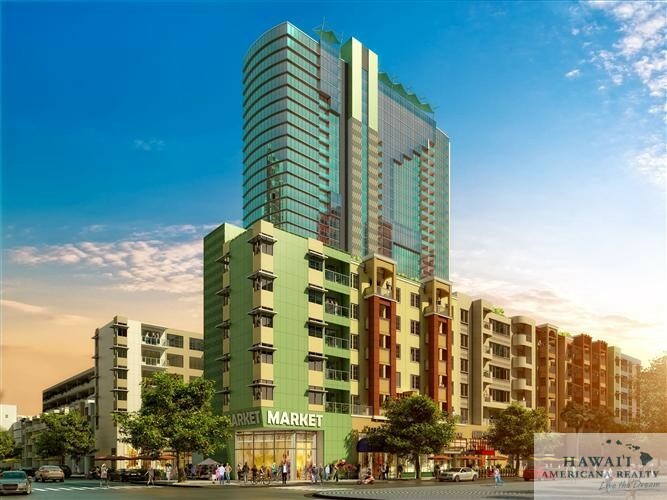 Hawaii developer Stanford Carr’s Keauhou Lane project in the Honolulu neighborhood of Kakaako, which was slated to start construction in late March or early May, is now scheduled to begin construction in July, the developer confirmed to PBN this week. 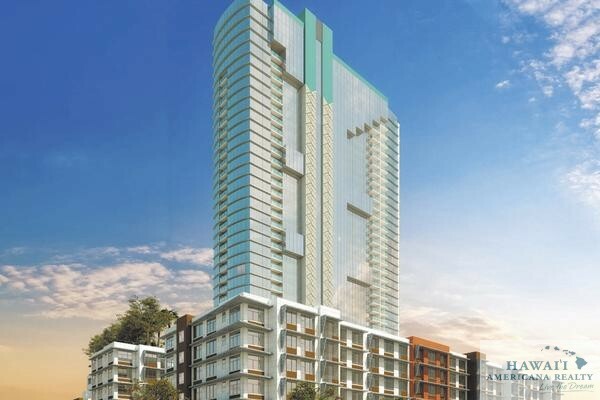 The project, which is located on the block at 500 South St. and 500 Keawe St., includes 388 residential units in a 400-foot tower, along with 35 townhome units in a 42-foot mid-rise tower. Carr told PBN that his firm, Stanford Carr Development, is nearing the closure of the project’s construction loan and should be getting a foundation building permit soon. Sales for the project have been good thus far, he said. That project includes 209 residential units in a 65-foot mid-rise building and 39,145 square feet of ground-floor commercial space. Hawaii Architecture and Hawaiian Dredging Construction Co. Inc. are architects and general contractor for that project. Keauhou Lane also will include a planned rail transit station. Alakea Design Group and Richard Matsunaga & Associates are the architects and Hawaiian Dredging Construction is the general contractor for the Keauhou Lane project. Developer Stanford Carr of Honolulu-based Stanford Carr Development talks about his Keauhou Lane project in this file photo. 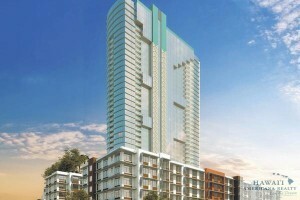 His Hale Kewalo project affordable rental project gained regulatory approval Wednesday. 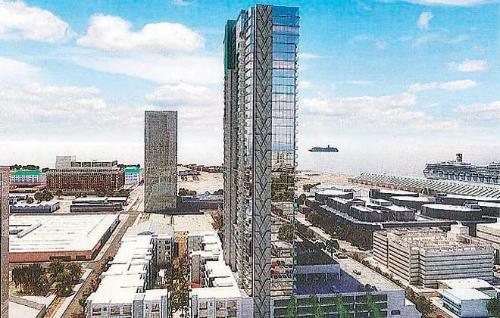 Hawaii developer Stanford Carr’s plan to develop a $50 million, 128-unit affordable rental project near Ala Moana Center in the Honolulu neighborhood of Kakaako received the approval of Hawaii regulators on Wednesday. The Hawaii Community Development Authority, which oversees the redevelopment of Kakaako, voted 8-0 to approve the assignment of reserved housing for Alexander & Baldwin Inc.’s Waihonua at Kewalo condominium to Carr, who said that the “Hale Kewalo” project is expected to break ground in about a year. 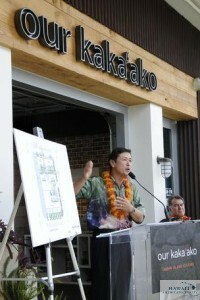 Carr noted that his company, Honolulu-based Stanford Carr Development, has completed a draft environmental impact statement for the project, and has submitted it to the Hawaii Housing Finance and Development Corp.
Additionally, Stanford Carr Development has submitted its application with the U.S. Department of Housing & Urban Development’s San Francisco Regional Office. A sewer connection application also has been recently granted, Carr said. The project will mostly be financed by the sale of state and federal tax credits. Pittsburgh-based PNC Bank has agreed to purchase the tax credits, said Anthony Ching, executive director of the HCDA. “This is a significant step, [and] while this seems to be a tortuous path, the production of rental housing units at deep affordability of any quantity is something that is important,” he said. Hale Kewalo, which will be located at the corner of Piikoi and Kona streets, is targeted at Hawaii residents earning no more than about $40,260 for a single person, or $57,480 for a family of four. Rental rates have not been finalized, although they may likely range from $500 per month to a little more than $1,389 per month for a three-bedroom unit, depending on unit size and number of bedrooms. The 128 residences comprise 27 one-bedroom units, 72 two-bedroom units and 29 three-bedroom units. There also will be 77 parking spaces at the project. 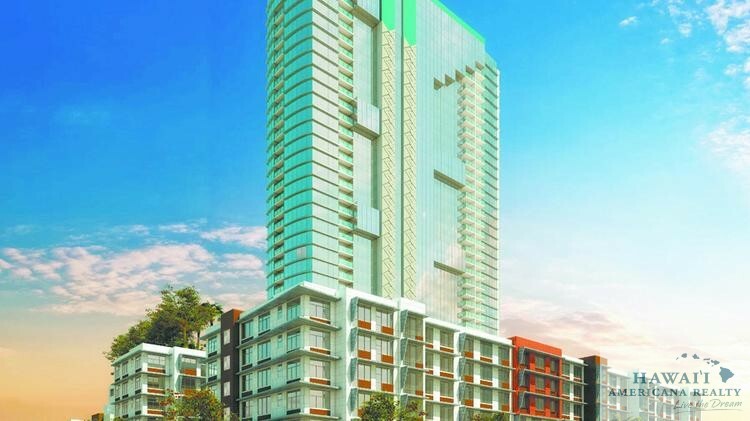 The rental project at 404 Piikoi St. is meant to satisfy A&B’s affordable housing requirement for its 43-story Waihonua at Kewalo condominium. PBN first reported that Carr was taking over the affordable housing development from A&B. Stanford Carr Development is slated to start construction on its Keauhou Lane project in Kakaako in late March or early April of 2015. 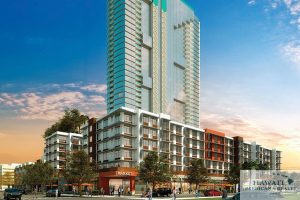 The project includes 388 residential units in a 400-foot high-rise tower and 35 townhouse units in a 42-foot mid-rise tower. Alakea Design Group and Richard Matsunaga & Associates are the architects and Hawaiian Dredging Construction Co. Inc. is the general contractor. In an exclusive interview with PBN this week, Stanford Carr, president and founder of the Hawaii-based firm that bears his name, talked about how the transformation of Kakaako is going, as well as updates on his projects across the state. A Keauhou Lane sales office opened recently in a former U.S. Department of Housing and Urban Development office at Waterfront Plaza. Sales of Keauhou Lane, which will be near a Honolulu rail transit station, are expected to begin in early January. The block at 500 South St. and 500 Keawe St. includes a project by Oregon-based developer Gerding Edlen on behalf of landowner Kamehameha Schools. That project includes 209 residential units in a 65-foot mid-rise building and 39,145 square feet of ground-floor commercial space. “There’s already pent-up demand from the last four years, starting in 2008,” Carr said of the housing market in Hawaii. “What The Howard Hughes Corp. is offering satisfies a sector, what [Alexander & Baldwin Inc.], we and Marshall Hung are offering also satisfies a sector of the market. The entire development will be located on the site of a surface parking lot adjacent to Carr’s Halekauwila rental project and bounded by Halekauwila, Pohukaina, South and Keawe streets. Combined, the projects will have about 50,000 square feet of recreational space and more than 65,000 square feet of open space. 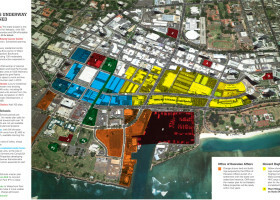 Carr’s portion will take up about 93,000 square feet of “Block A” of Kamehameha Schools’ “Our Kakaako” master plan, which includes 29 acres on nine city blocks, seven residential towers that include 2,750 units, and 300,000 square feet of commercial space. Gerding Edlen’s portion includes 69,387 square feet of property with live-work units, rental apartments and ground-floor commercial space. The six-story building will have a mix of studios, one-bedroom and two-bedroom units. Developer Stanford Carr of Honolulu-based Stanford Carr Development is seen talking about his Keauhou Lane project in this file photo. Hawaii developer Stanford Carr, who has been around for several real estate cycles in the state, describes the current upswing as if the stars are aligned. In an exclusive interview with PBN this week, the Maui native who has turned into one of the top developers in Hawaii, especially in the residential real estate sector, noted that one of the stars is the pent-up demand of the market. Other factors include an overall improvement in the economy, high consumer confidence and historically-low interest rates. In the Honolulu neighborhood of Kakaako where Carr’s Stanford Carr Development is getting ready to start construction on his 388-unit Keauhou Lane residential project, the skyline is dotted with numerous building cranes and several other developers are helping to build up the area between Downtown Honolulu and Waikiki. He pointed out that the new cycle includes Hawaii developer Marshall Hung’s 801 South St. projects at the site of the former Honolulu Advertiser building, The Howard Hughes Corp.’s slew of towers in Ward Village, Alexander & Baldwin’s Waihonua at Kewalo, the Kobayashi Group and The MacNaughton Group’s ONE Ala Moana and Vida at 888 Ala Moana, OliverMcMillan’s Symphony Honolulu, his Keauhou Lane and others. When asked when he feels the cycle will begin to taper off, Carr said that the state is okay for the next three years. “[But] beyond that, ask that question again next year,” he said. Hawaii developer Stanford Carr’s $70 million, 204 affordable rental project in Kakaako, Halekauwila Place, is scheduled to be completed in March, the state agency overseeing the redevelopment of the Honolulu neighborhood said Thursday. The Hawaii Community Development Authority said it provided gap financing for construction of the project, which will have rents that range in price from $956 a month for a studio to $1,389 a month for a three-bedroom unit. The units are available to tenants making less than 60 percent of the area median income in Honolulu, or about $36,000 to $41,000 a year for a single person, the HCDA said. The project is being financed through three separate sources, including $25 million from the U.S. Department of Housing and Urban Development through PNC Bank, $28 million through the issuance of low-income tax credits and $17 million from subordinate gap financing from the HCDA. Halekauwila Place is considered the first phase of the 690 Pohukaina project, which will include a workforce housing component that targets people who earn up to 140 percent of area median income. Interested applicants can contact the leasing company and get more information through the Halekauwila Place website.